my trial period for Rodan + Fields Anti-Age Regimen is coming to a close. i have been using the products religiously for the last six weeks. okay, i did miss a few days in July due to family vacation, TSA regulations, etc. excuses, excuses. the reality of it is that i was using the products and thought my skin wouldn't miss it for a day or two. boy was i wrong. did you know that women in their thirties face hormonal breakout around the mouth and chin? you read that right - hormonal breakout. i will give you one guess as to what i experienced when i didn't use my products for a few days. Mt. St. Helens not only planted itself on my chin, it erupted. i'll spare you any more explicits but let's just say i took Rodan + Fields for granted. 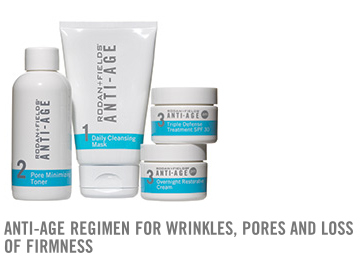 we tend to go through honeymoon phases with skin care where we see results and we think, 'wow, this is really working!' enter the latent phase (yes, i just used a laboring term) where results aren't as obvious and we don't realize just how much it is working. take a few days off from a skin care regime and BLAM-O! regret. please use this as a PSA. don't go all 'Seven Year Itch' on your products and let your relationship slip. stick with it and results are sure to follow. however, if you're a beauty blogger there is sure to be a new product waiting in the wings. until then i will happily continue using my Rodan + Fields. if you'd like more information or have interest in purchasing product, head here. your personal consultant is always happy to answer any questions you may have.